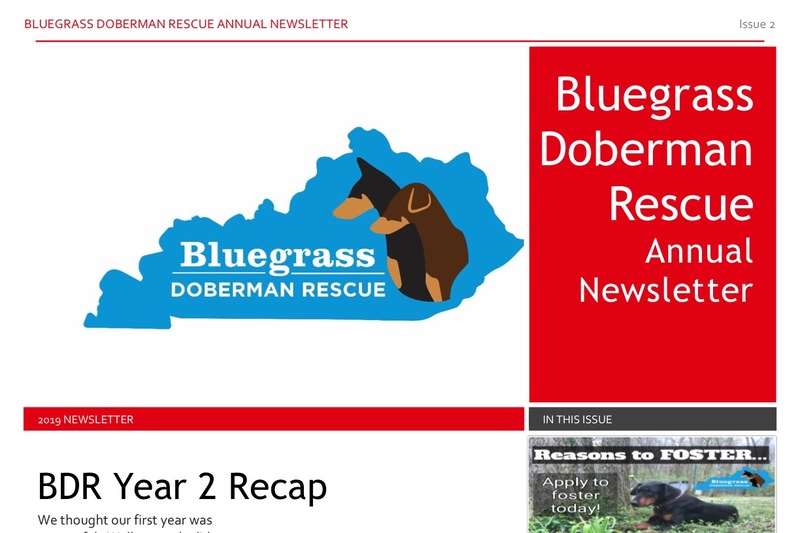 Learn how you can help the Bluegrass Doberman Rescue. We have many areas within our organization the we could use volunteers. Please look here if your interested. Exciting news about the Rescue Dogs that have been adopted, our success stories and of course a very special memorial for those that have crossed the Rainbow Bridge. 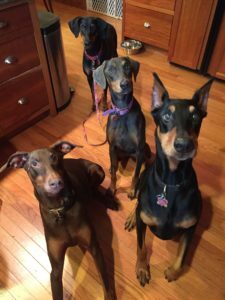 As a group of volunteers with diverse backgrounds our mission is to come together through our shared passion in order to rescue, rehab, and rehome Dobermans in need. Click the “Donate” button below to make a secure monetary contribution to Bluegrass Doberman Rescue (BDR) through PayPal. BDR is a 501(c)(3) non-profit organization. Check with your tax preparer for details regarding the deductibility of your donation. Clicking the Donate button will open the secure Pay Pal page for BDR.